The Ukrainian armed forces violated the previously agreed upon “New Year’s truce”, as stated by a representative of the unrecognised Lugansk People’s Republic (the LPR) in the Joint Centre for Ceasefire Control and Coordination, RIA Novosti reports on December 29. 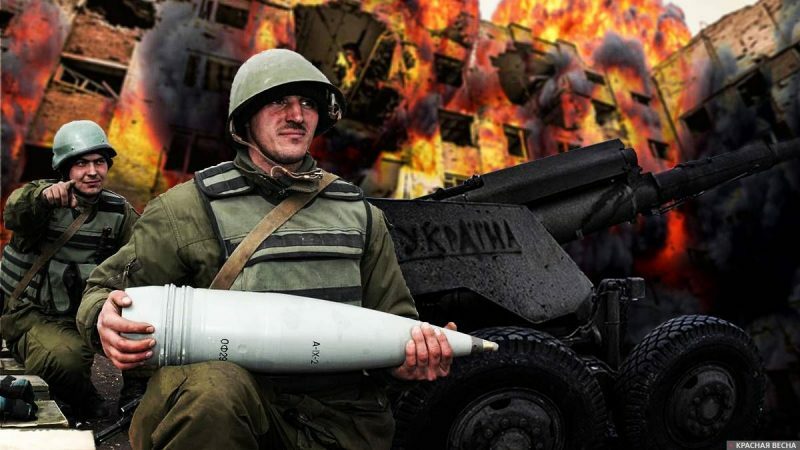 According to the LPR government, the Ukrainian army shelled the Republic’s territory. Earlier Rossa Primavera News Agency reported that the ceasefire agreement for the period of New Year holidays had been reached by the contact group participants of the two parties. The permanent ceasefire should have started at 01:01 a.m. Moscow time on December 29. In spite of this, however, the Ukrainian party refused at first to engage in consultations while its delegates were thwarting the sessions. Despite that, the parties ultimately reached an agreement. The Kiev regime has not always abided by the ceasefire obligations that it had previously assumed; in particular, the Ukrainian army has repeatedly violated the “school truce”, which coincides with the beginning of the school year and the “bread truce”, which is introduced for the time of the harvest.